The British Horseracing Authority (BHA) is pleased to announce the appointment of Emma Marley (pictured below) to the position of Head of Raceday Operations. Emma, who is currently Racing Manager and Clerk of Course at Ayr Racecourse, will join the BHA in April. Well known to many in racing, Emma participated in the BHA Graduate Development Programme in 2007 after completing a Bachelor’s degree in Business Management for the Horseracing Industry. 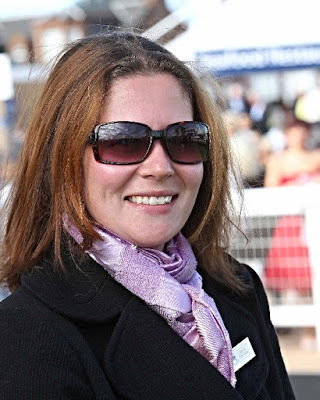 Following this Emma has held various roles within the industry including the position of Clerk of Course at Bath Racecourse before moving into the role at Ayr in 2010. Emma is also presently completing the Thoroughbred Horseracing Industries MBA through Liverpool University as part of the inaugural intake of this recently developed post-graduate programme. As Head of Raceday Operations Emma will report to the Director of Integrity and Regulatory Operations, Brant Dunshea, and have responsibility for management of various raceday regulatory teams including the Racecourse Inspectorate, Starters, Clerks of Scales and Judges. In addition to this the role will involve oversight of racecourse licensing, Point to Point racing and the BHA’s relationship with the Arabian Racing Organisation (ARO).